What deals will you shop during this year’s President’s Day Sales? Looking for great deals on US products? Here are the top President’s Day sales happening this weekend. President’s Day 2019 takes place on Monday, February 18th. Well-known for store-wide sales, this US holiday is a great time to take advantage of great deals and discounts. This made it on our top President’s Day sales recommendations because the deals cater to the whole family. 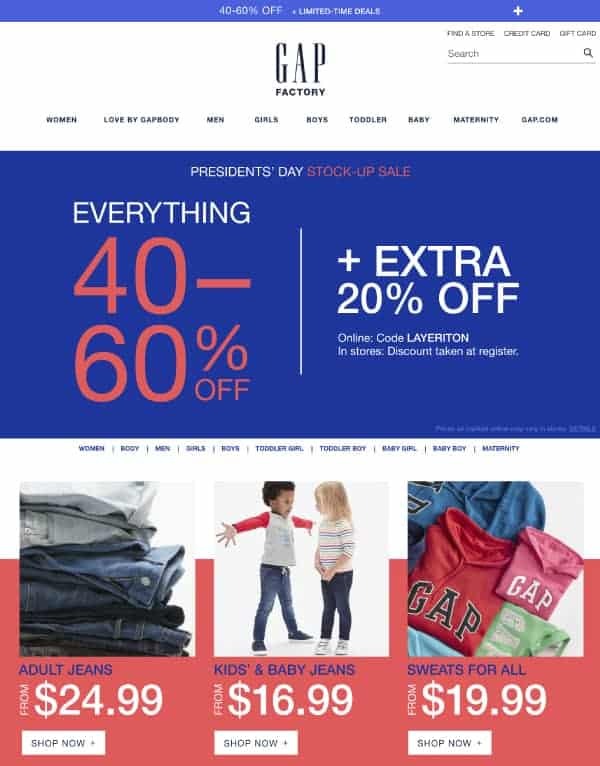 Gap Factory is discounting everything by 40-60% off plus an additional 20% with the promo code LAYERITON. Save on apparel for Women, Men, Girls, Boys, Babies, and Maternity wear. 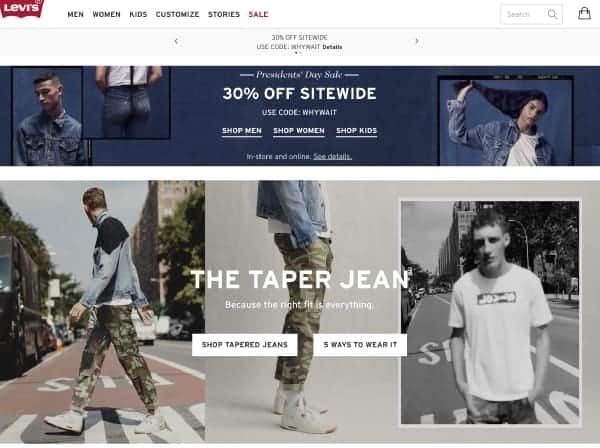 You can start shopping Levi’s sitewide President’s Day sale today. They are offering 30% off apparel throughout their entire site. Simply use the promo code WHYWAIT at checkout. When you spend over $100 online you are qualified for free shipping domestically. This means that if you are an international customer and you use a package forwarding service like our’s you can spend less on your total shipping cost by skipping domestic shipping fees. 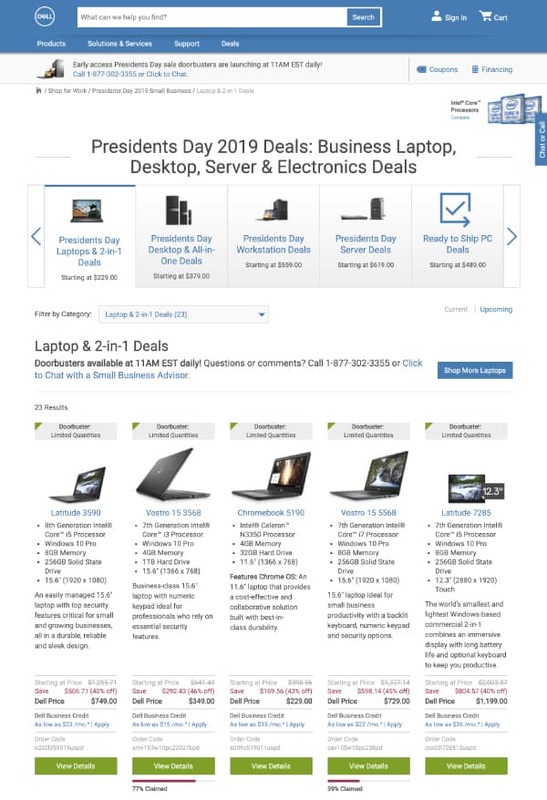 If you are in search of a new computer Dell has some great doorbuster deals on laptop and desktop offers. They have quite a few different models to choose from so you’re sure to find the best fit. Save up to 40% with laptops starting at $229 and desktops starting at $379. 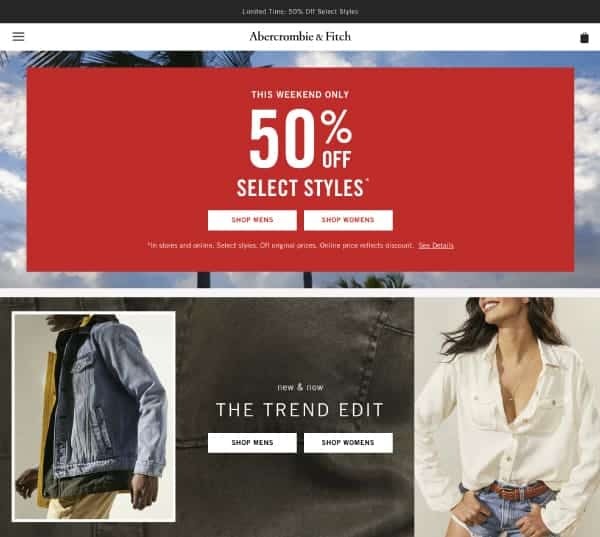 A popular trendsetter in Women’s and Men’s apparel, Abercrombie & Fitch has plenty of items to choose from during their President’s Daty Sale. Enjoy 50% off select styles. 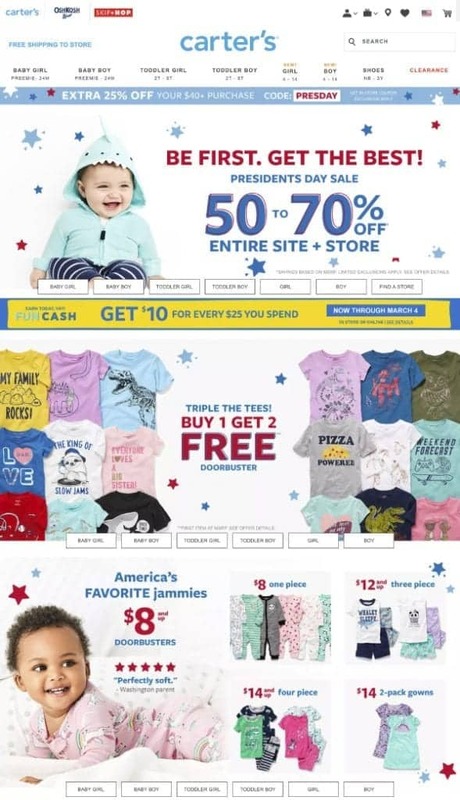 Carter’s is celebrating it’s President’s Day sales with huge discounts They are promoting 50-70% the entire site along with free domestic shipping. You’ll also find amazing doorbuster deals of children’s tees, onesies, pajamas, and more. 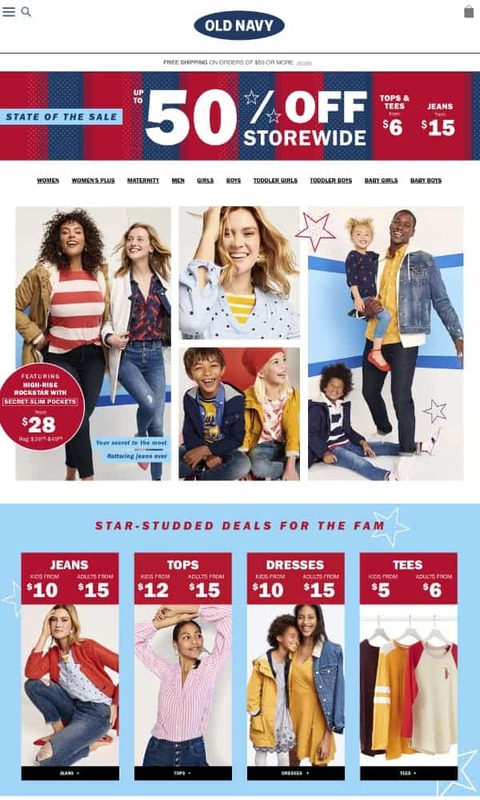 At Old Navy, you’ll also find storewide offers for up to 50% off for the entire family. They are featuring Tops and Tees starting at $6 and Jeans and Dresses starting at $15. Activewear for adults is starting at $8 and $6 for kids styles. 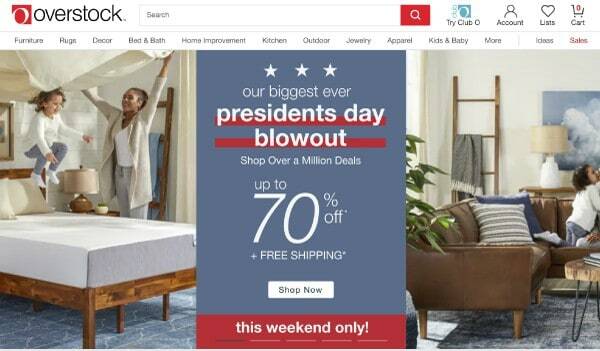 The President’s Day Blowout sale at Overstock has discounts up to 70% off + free shipping. The online retailer has millions of products to shop, from kitchenware to apparel, jewelry, and more. You’ll spend hours browsing for all your shopping needs. 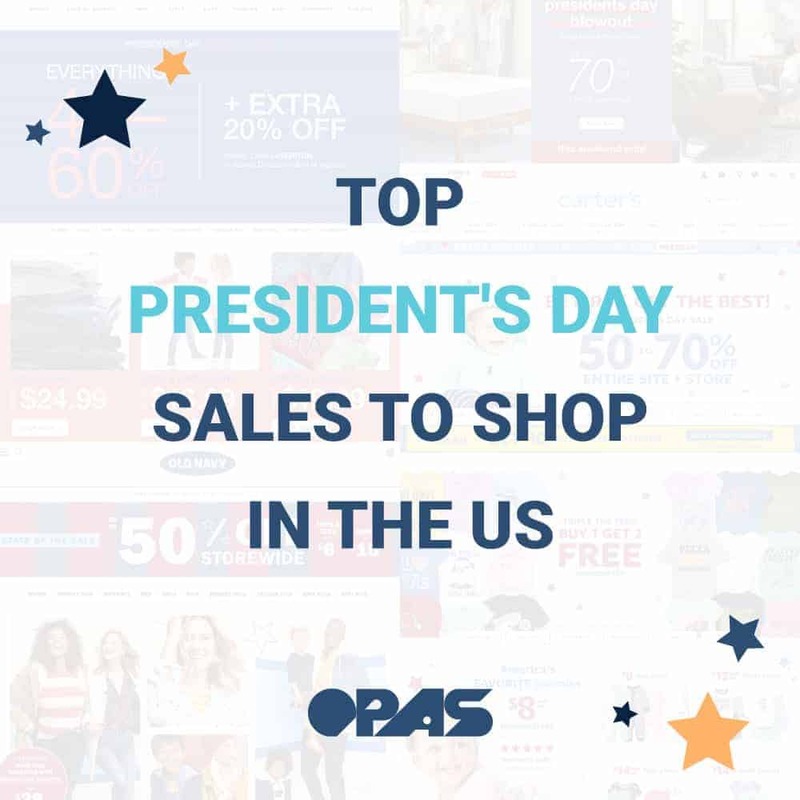 We’re interested to hear what top President’s day sales you shopped and the awesome deals that you found. Fill us in in the comments section. What was your favorite from this list? Did you find just what you’re looking for?